The car door shut. I playfully admonished the volunteer sitting next to me in the front seat. “Make sure you buckle up, “I said, smiling. I was taking my volunteer, Rod to his doctor’s appointment, something I had done before. As I started the engine, Rod handed me an envelope. “What’s this? I asked, puzzled. “It’s for you, take it,” Rod said as he put it in my lap. I opened the envelope. Inside was a $50 gift certificate for a local restaurant. I stared at it in disbelief. What was he thinking? And as I looked at him, formulating my response, I thought, what was I thinking? 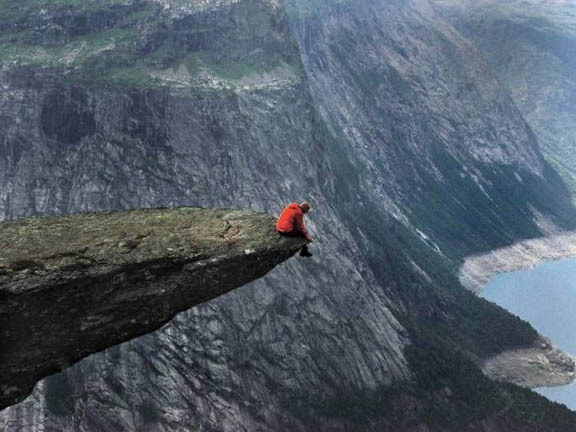 Then I thought, how did I get here? 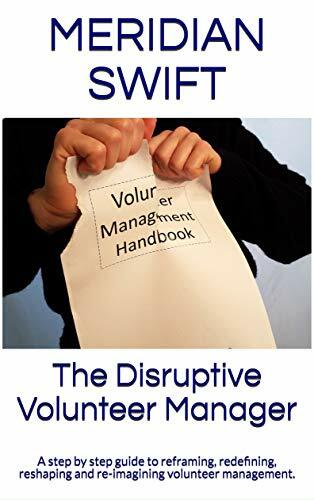 A long time ago I had some pretty loose notions about volunteer management. 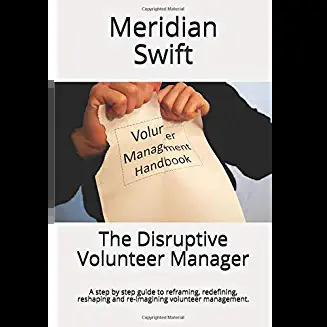 Granted, I had no idea that so many great volunteer resources existed to help us so most of my information came from my then supervisor, another volunteer manager and the monthly meetings of the local volunteer manager group. That was it. The internet was just becoming the go to place for knowledge, so I felt very much an island fed by the small school of experienced fish that lingered near shore. I had no idea that out past the reef was a plethora of all sorts of smart, accomplished marine life. And so, the lessons I learned about volunteer management were pretty much the kind you learn from either making mistakes or doing something right or both. I remember wanting to make every volunteer happy. I thought that happy volunteers meant staying volunteers so I did everything to meet their needs. I’d be lying if I didn’t admit that it felt good to see volunteers fulfilled even if that meant longer hours and personal requests like taking a volunteer to the doctor or attending every birthday party that came my way. Heck, it still feels good although my personal space is something I guard now like the secret recipe for grandma’s stuffing. But back then, boundaries were for the uninvolved volunteer managers. Me? I was involved, to my own detriment. Let me tell you about Rod, whose wife was dying on our program. He became what I jokingly referred to as our only unofficial official volunteer. Rod, a 90ish former pharmacist, would hang around my desk, chatting. He and his wife Mary, had no children and I thought perhaps I represented the child he didn’t have, but frankly, I really don’t know if that was even it. When Mary died, Rod continued to come. He would tell me in his gruff voice that he went to a bereavement session and “it does no good, they just want me to talk about my feelings and I don’t want to talk about them.” Then, of course you know he would talk about his feelings with me. I felt good about helping Rod, about being a sounding board for him and giving him a place to be. I started asking him to help out, unofficially, of course and he agreed. We became an unlikely pair, Rod, not really a volunteer, me, not really a bereavement counselor. And so one day, I found myself refusing a gift from this volunteer. I told him that we could give it to a needy family. He was disappointed and I, to was disappointed because I was forced to look critically at my actions. I was far too involved with this volunteer and the reasons were not admirable. Instead of offering this man a great volunteer experience, I offered him dependence on myself which is what led to his feeling that he needed to gift me. A while ago, I knew a volunteer coordinator who was dismissed because she became too intertwined with her volunteers and accepted gifts from them. One of those volunteers had a daughter who rightfully felt extremely uncomfortable with the relationship. And so all the good that coordinator had done became out weighed by a loose idea of volunteer management. What that coordinator did not realize, was that the volunteers were not her friends, or even peers, they were her professional responsibility. From that day in the car on, Rod and I had a much different relationship. We were less close, but more professional. I watched him make friends with other volunteers and reconnect with distant family. I watched him become a real volunteer. I had to do some good soul scrubbing to see what the heck I was thinking and why I felt compelled to become over involved. Do volunteers call me a friend? All the time. Do I think of them as friends? Yes, but in the sense that any manager would feel towards those he/she managed and cared about. When we have those moments thinking, “how did I get here”, it’s a chance to become better at what we do. We know we owe that to our volunteers, but really we owe it to ourselves to be the best version we can be. I want to be a better version and have much to work on, so every day, I learn something new about how I can improve. Meridian, I love your writing style! You make a valid point about keeping professional distance, much the same as a leader should in the business world. Still, leaders should not misinterpret that message to mean that they should no longer discover, and work fervently to meet, the passions that brought that volunteer to serve. This discovery is still an essential part of engaging the head, heart and hands of a volunteer! Thank you Barry, that means a great deal to me. I appreciate all of your wisdom regarding leadership; you are definitely a person who understands volunteer management and the challenges we face. Hi and thank you! It’s hard to admit mistakes, especially when you felt at the time that you were doing something “above and beyond.” but even we, volunteer managers have emotional responses to our work. Learning how to handle our responses can really strengthen our professionalism. I’m still learning! Love your honesty Meridian, and the positive outcome of the relationship. I think we have all been there at some point of our careers in managing volunteers – putting friendship before function (professionalism). But still, let’s never forget it’s that communication and relationship with volunteers that contributes mightily to their good experience. Thanks Sue, could not agree more. For me, it was learning to look at what is best for the volunteer versus what “feels good” to me. If I focus on the volunteer’s experience, i.e. engagement, that is a very different, yet healthier approach than focusing on how I feel about the situation. I teach our volunteers to focus on clients rather than on how they feel about the client, so one day I realized I needed to take that advice to heart!